This cute seasonal decoration looks good enough to eat. 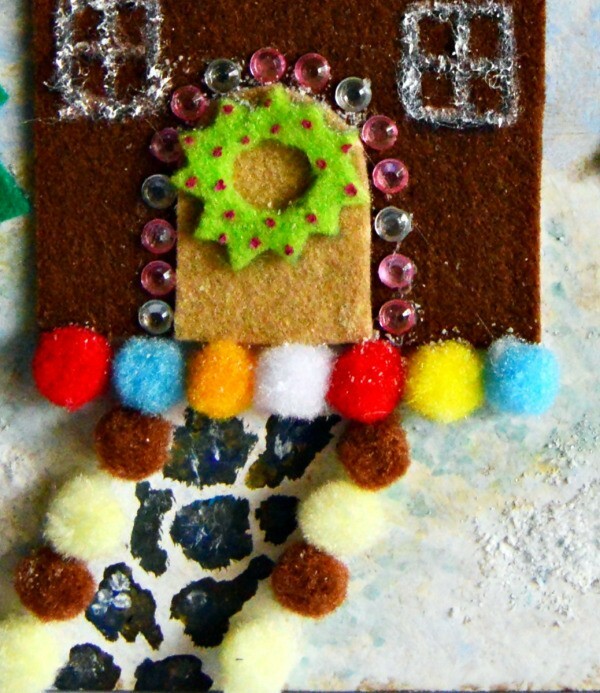 This is a guide about how to make a gingerbread house Christmas collage. Looking for a new idea for your Christmas decorations this year? Here is a great collage that you can make! 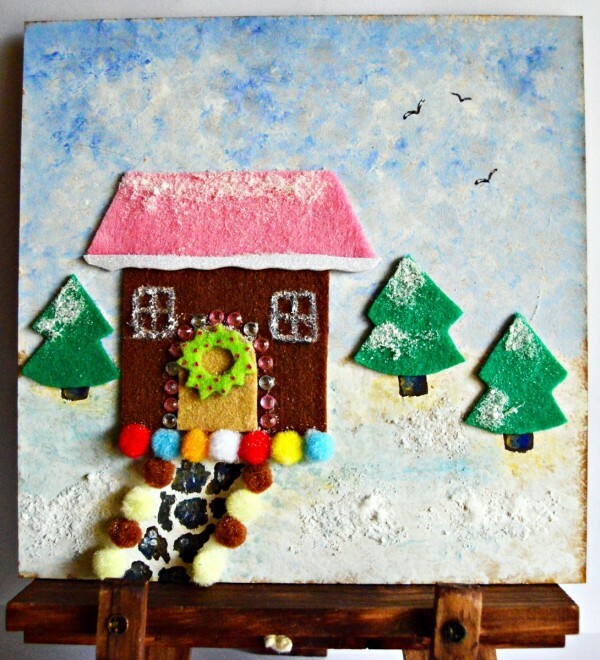 It features a gingerbread house, surrounded by a snowy landscape. Display the collage on a mini wooden easel on your mantelpiece, and be ready to wow your guests. 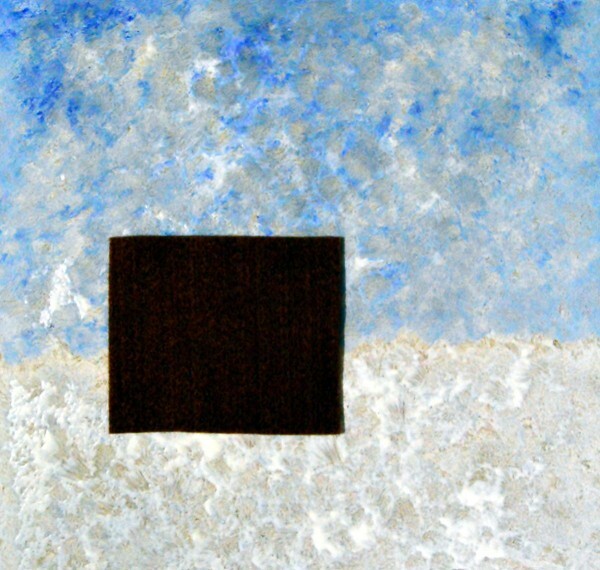 Use the old paintbrush and dab an uneven layer of mixed white and blue paint on to the top two thirds of the wooden canvas. 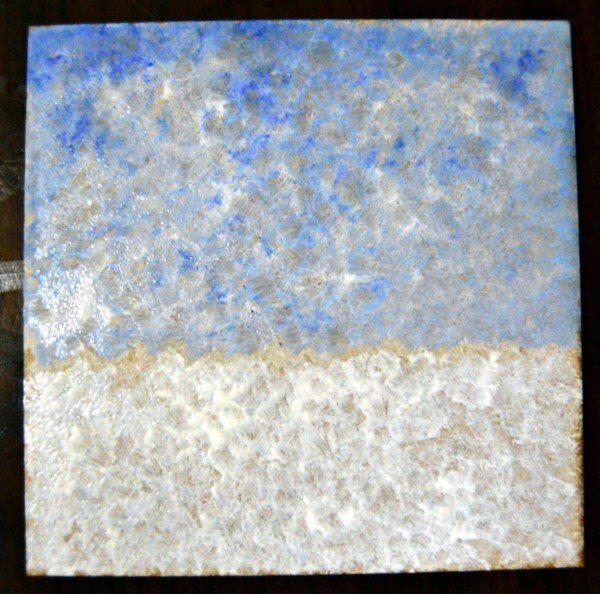 Allow to dry, and then dab white paint on to the bottom third. Allow to dry again. 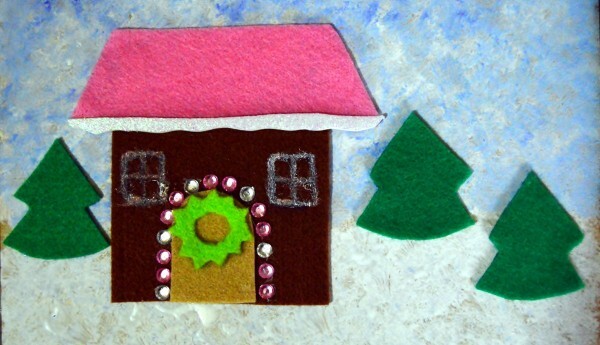 Use the pen to trace the parts of the house on to the back of the felt and glitter foam sheet, and cut them out: the wall of the house - brown felt, the roof - pink felt; the snow on the roof's edge - the piece cut from white glitter foam sheet; the door - caramel brown felt; the wreath for the door - light green felt; three trees - dark green felt. 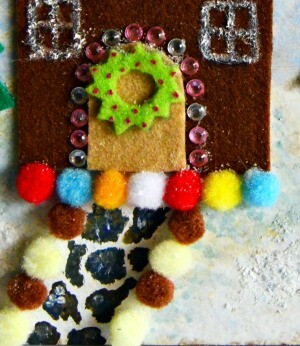 Assemble the house and use the glue to affix it to the canvas. Also glue the trees in place. Glue the rhinestones around the door to add Christmas lights, and then glue the wreath to the door. Use the white pen to draw a window on each side of the door. Glue a row of pom-poms below the house, and use some more to glue them on the side of the "pathway" leading to the front door. 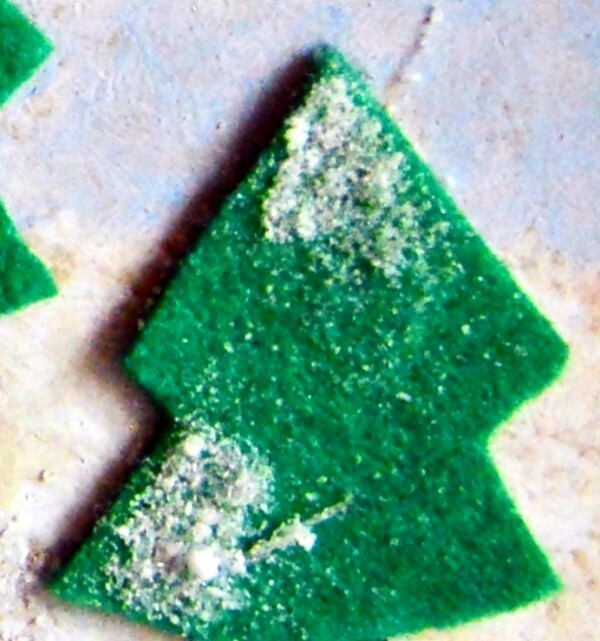 Spread glue on some areas of the trees and the roof, and immediately add Epsom salt to the wet glue. Allow to dry, and then shake off the excess salt. 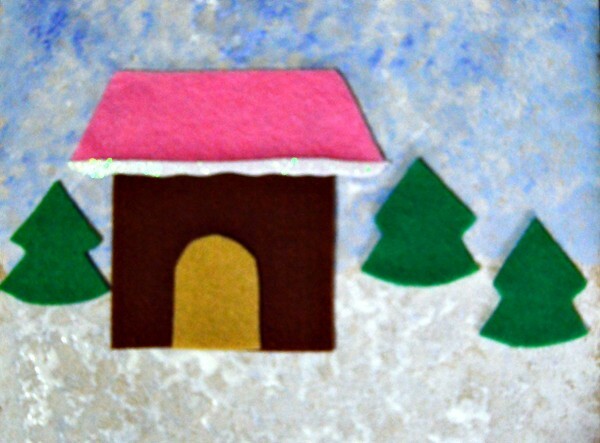 Use the thin paintbrush and the watercolor paint to add tree trunks and paving. Add small "cherries" to the wreath. 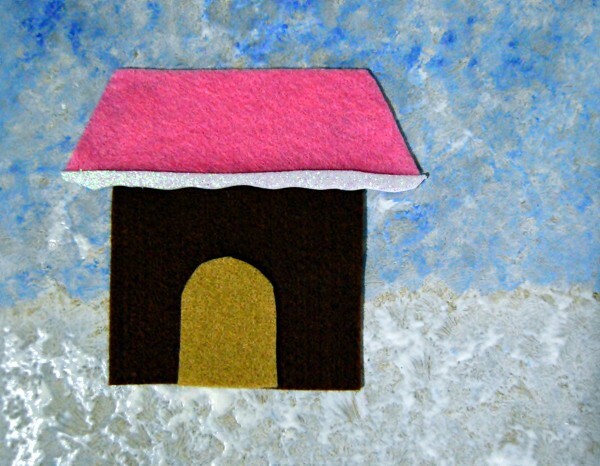 Use yellow ochre to add shadows to the snow. 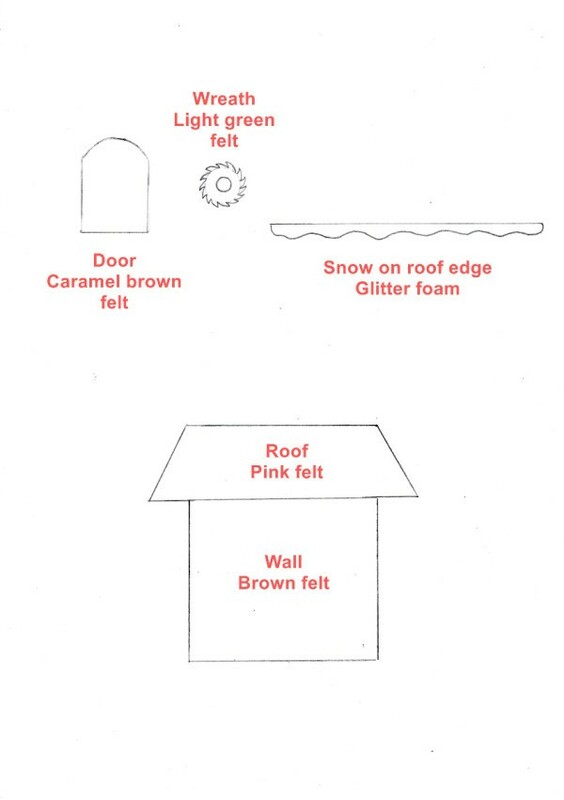 Use glue and Epsom salt to add further detail to the snow. 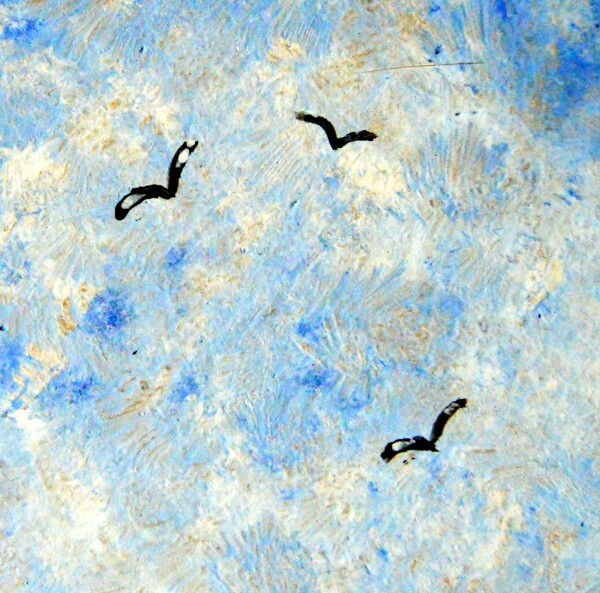 Add three birds to the sky. Display on a mini wooden easel on your mantelpiece.